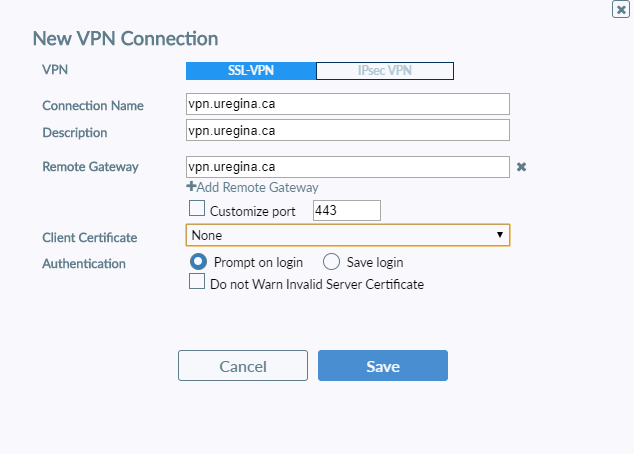 A virtual private network(VPN) creates an encrypted connection to the UofR network which allows your computer to appear as though it is "on campus" even though it is not. This allows services that are not available from off campus due to firewall security rules, to be accessed from anywhere in the world. Only traffic destined to the UofR will flow through the VPN connection - regular internet browsing will not. This note describes the configuration of VPN Clients so that you can securely tunnel to the University of Regina campus from off campus. 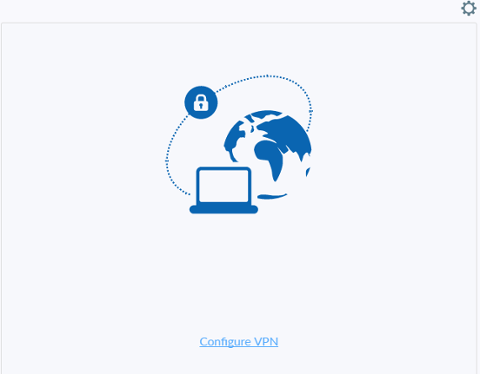 Web-only Mode - The VPN connection is all handled by the web browser so no additional software is needed. It is primarily limited to typical websites accessible over http or https. Websites using a non-standad port number like https://somesite.test:8080/ will likely not work. Tunnel mode - This allows any website, protocol, or service to be accessed but required the installation of a VPN client. A new window or Tab will open in your browser where you can now access the internal UofR website over a secure VPN connection. 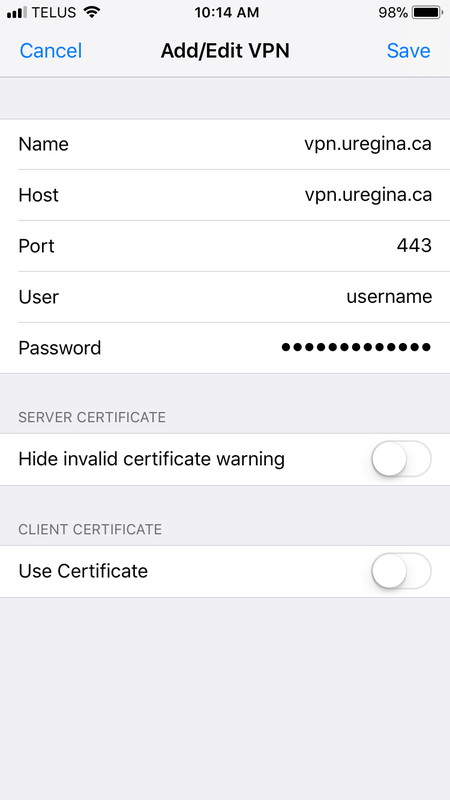 If the application uses a html based login and the same uregina.ca username/password you used to login to the vpn you may be able to set SSO(single sign on ) to Automatic for your bookmark to have your login username and password passed automatically to the web page. Whether this work depends on the details of the web page so just give it a try and it if doesn't work you can always disable it. 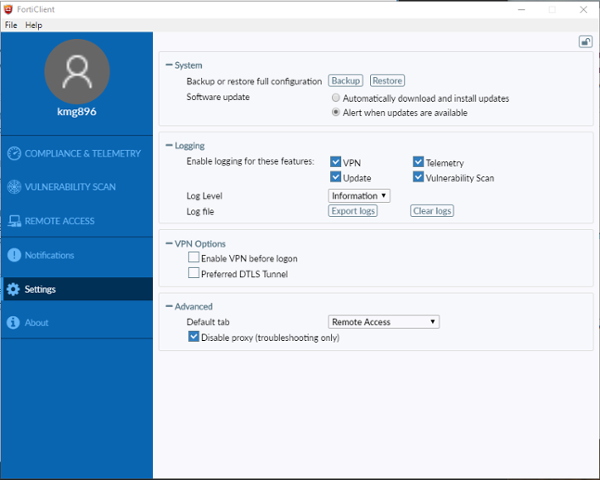 If it does work and the application returns you to the login page when you logout beware that the vpn will automatically login you in again. To prevent this, close the web browser tab/window after you logout. 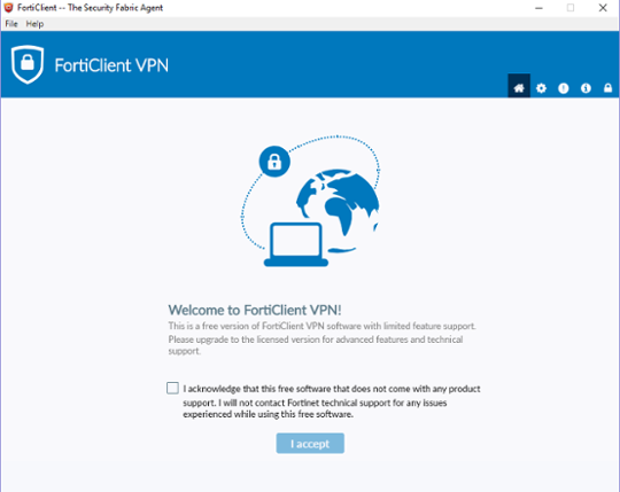 Login into your Windows system as administrator - this is necessary for the initial installation of the Fortinet SSL Client. 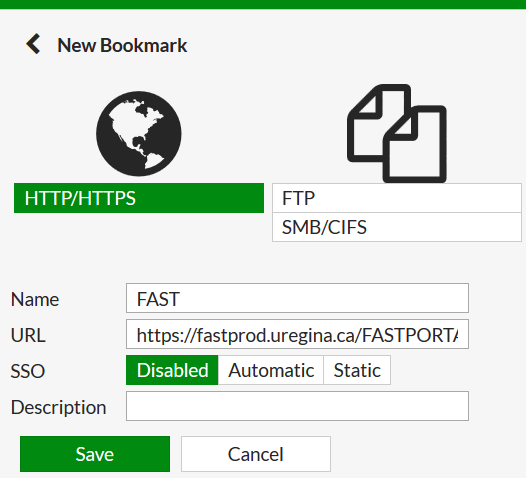 Open an internet browser and type in https://vpn.uregina.ca/ in the address bar. At the "Please Login" prompt enter your uregina.ca username and password. 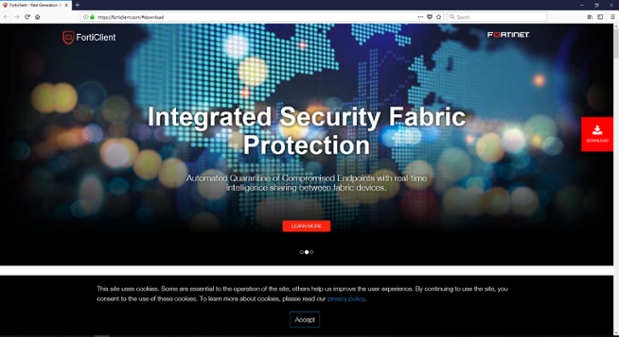 Now you will be in the SSL-VPN Portal web page. 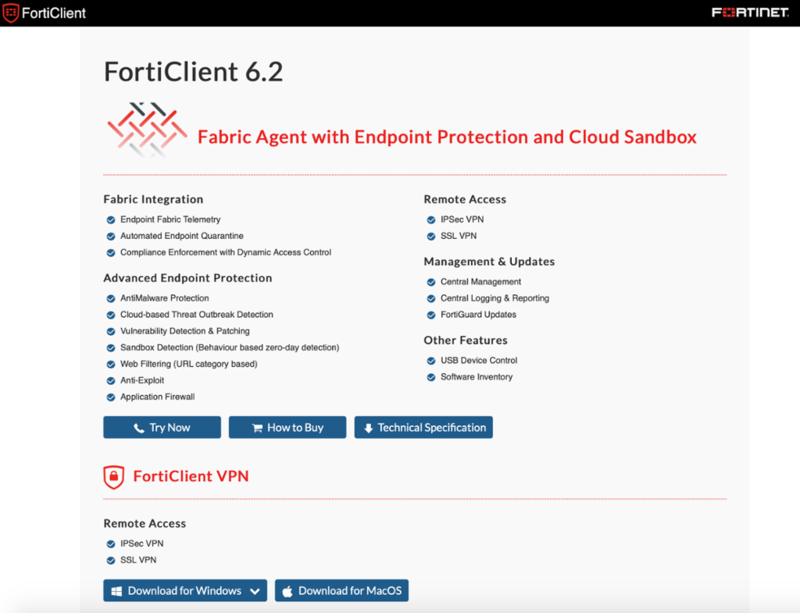 Click the "Download FortiClient" box in the top left and the choose "Windows". 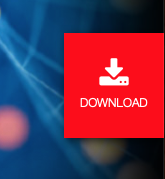 Click "Download" to the right of the page. Click the box "Download" beside "Get FortiClient 6.0 for Windows". 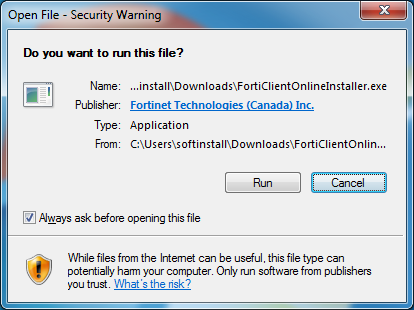 Click the "Run" button and then install the FortiClient by accepting the "License Agreement" and then clicking "Next". 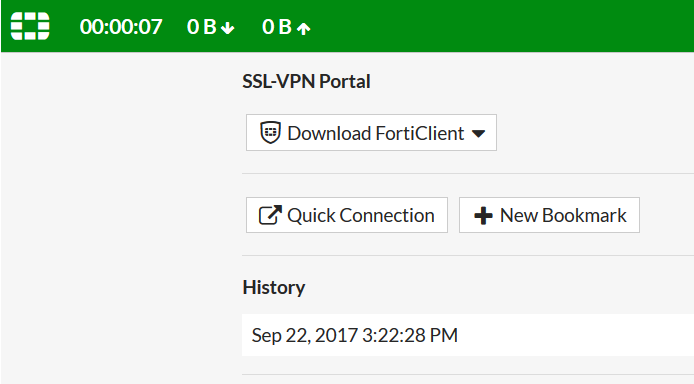 Click "Install" to install the FortiClient on your windows computer. Check only "Secure Remote Access" and click on "Next". Open the FortiClient by clicking Start | FortiClient | FortiClient. 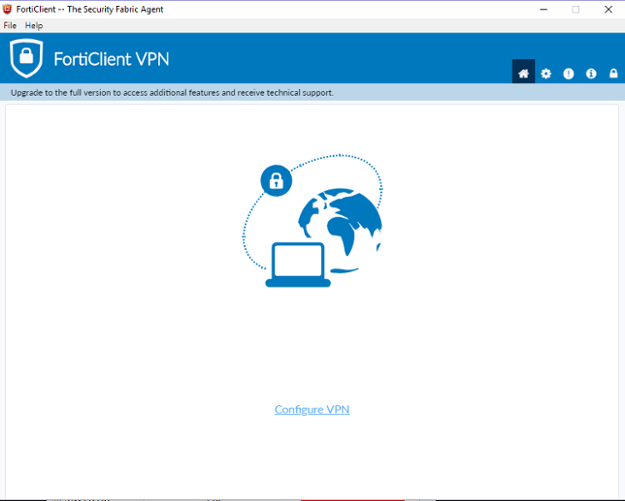 If you use the VPN frequently you may want to create a shortcut on your Desktop (drag FortiClient and drop it on the Desktop to create a shortcut). Click on "Settings" from the left tab, then click "Unlock Settings" on the bottom left side. At the bottom of the window under the "Advanced" tab, change the "Default tab" from "Compliance & Telemetry" to "Remote Access". 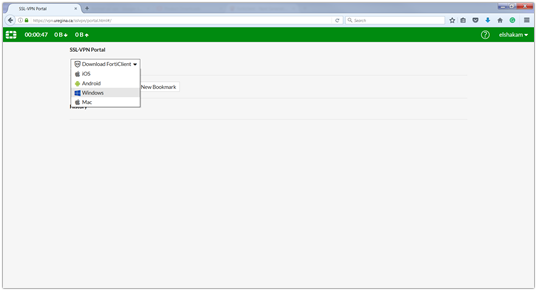 Click on "Remote Access" from the left hand side tab. At the top choose "SSL-VPN"
Enter your username and password then click "Connect"
Now you are securely connected to the U of R network, and your computer will behave as though it is "on campus". This connection will allow you to securely access applications that are restricted to on-campus use like FAST and URDocs. 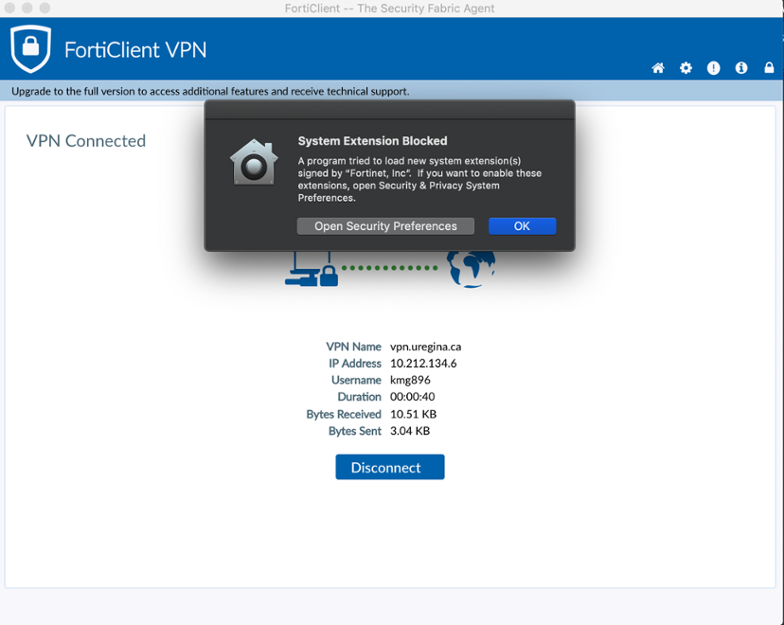 When you are done using the VPN to connect to the UofR, you can switch to the FortiClient program and click "Disconnect". * Please note, if your macOS version is older than 10.8 (Mountain Lion), you will not be able to run the FortiClient installer. 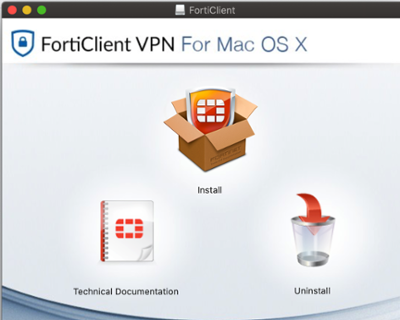 Please upgrade your macOS version to use FortiClient VPN. 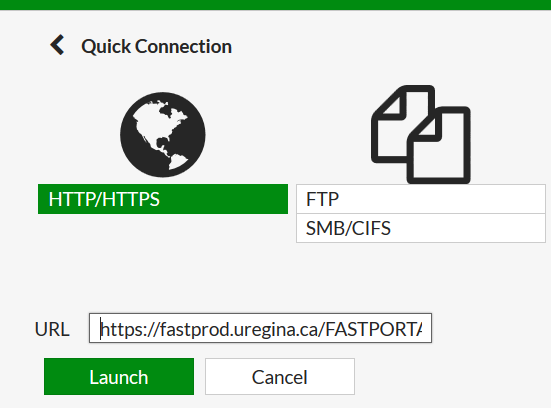 Open an internet browser and type https://vpn.uregina.ca/ into the address bar. At the "Please Login" prompt enter your uregina.ca username and password. Now you will be in the SSL-VPN Portal web page. Click the "Download FortiClient" box in the top left and the choose "Mac". Click the box "Download" beside "Get FortiClient 6.0 for Mac OSX". In the open window double-click FortiClientUpdate.app and the download of the client will start. Click install once the download has completed. In the Welcome window click continue. In the summary windows click Close. Startup the FortiClient.app found in your Applications folder. Select Remote Access on the left. 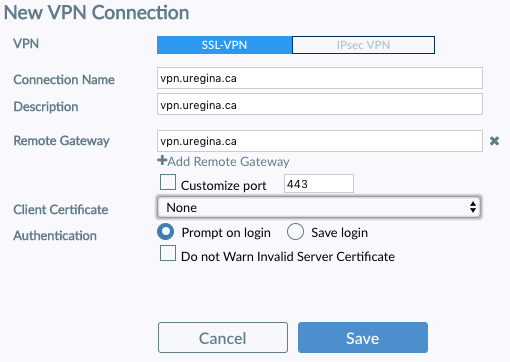 Enter your uregina.ca username/password and click Connect to start the VPN connection. Once successfully connected a Disconnect button will appear in the window. You can minimize the window to the dock or close it. Now you are securely connected to the U of R network, and your computer will behave as though it is “on campus”. This connection will allow you to securely access applications that are restricted to on campus use like FAST and URDocs. On your iOS device, open the App Store and search for 'FortiClient'. Download the App and tap Open. 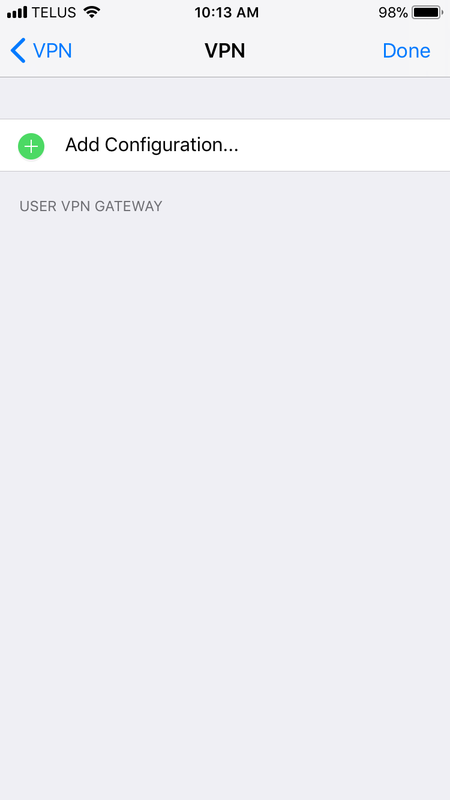 Tap the just created VPN connection - a check mark will appear beside it. Then tap Done. 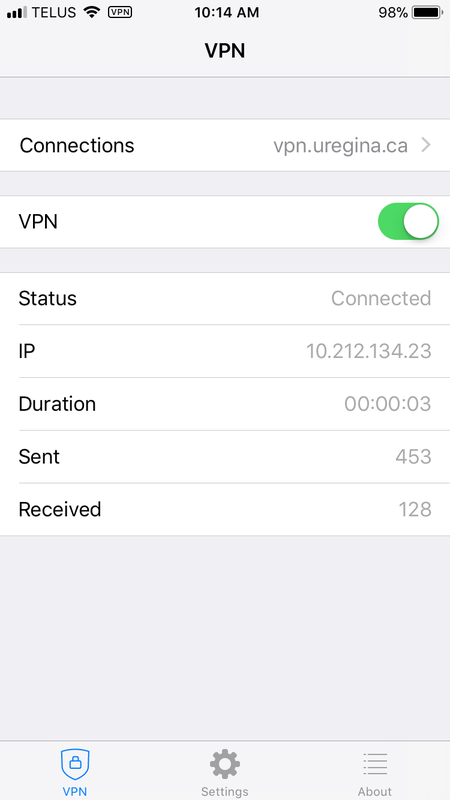 Turn on the VPN connection by the slider next to VPN at the top. Status will display Connected if sucessful and the timer will begin to count the connection duration. Now you are securely connected to the U of R network, and your device will behave as though it is “on campus”. This connection will allow you to securely access applications that are restricted to on campus use like FAST, DOME, and URDocs. 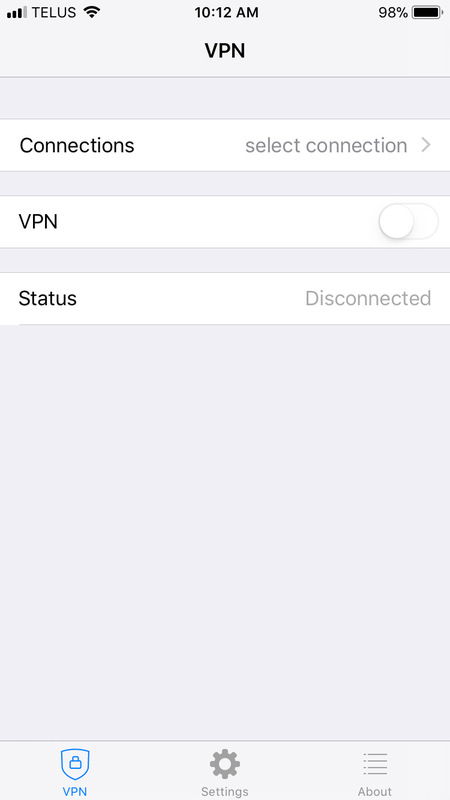 When you are finished using VPN, simply slide the VPN slider at the top back to the left. 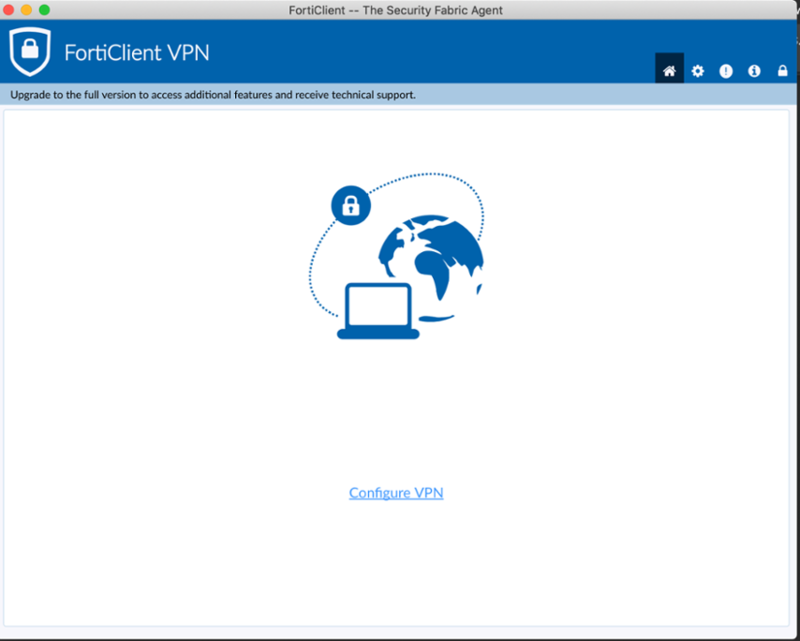 To close the VPN, launch the FortiClient VPN app and click Disconnect. v3, 2015-03-19, Enhanced/clarified wording/pictures based on IT Support feedback. v3, 2015-03-20, Added Android instructions. Thanks go to the desktop support group.